Last week, I attended the Tag Heuer launch party. I was at earlier events so I skipped the opening ceremony. 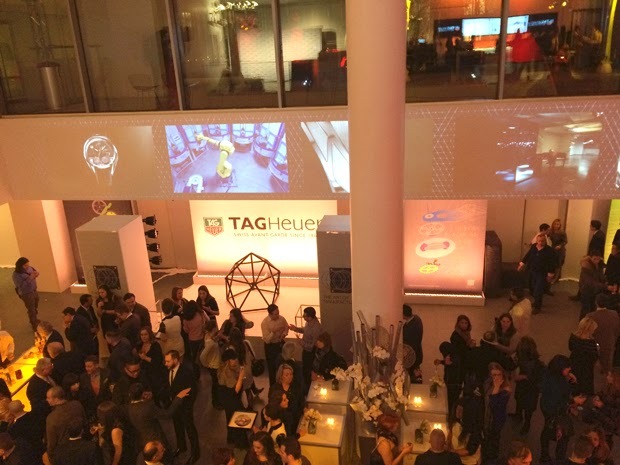 However, the after party was for the celebration for Tag Heuer's newest NY boutique in Midtown. The party was held in the Museum of Modern Art (MoMa) and featured acrobats, food + drinks, and beautiful art. Cameron Diaz was also in attendance as the brand's ambassador.